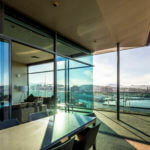 Flexible configuration allows for guests to stay in either a two, three or five bedroom penthouse. 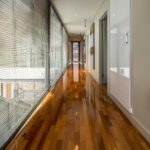 The advertised rate applies to a 2 Bedroom Penthouse, please contact us for availability & rates for a 3 or 5 bedroom penthouse (rates vary accordingly). 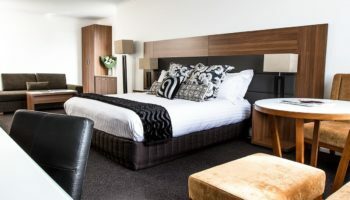 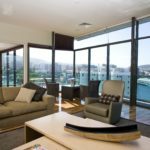 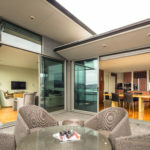 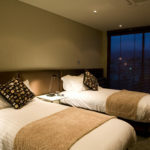 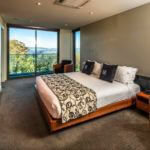 Stay in the exclusive and luxurious Lenna Penthouses, set atop Hobart’s premier harbour side establishment, Lenna of Hobart. 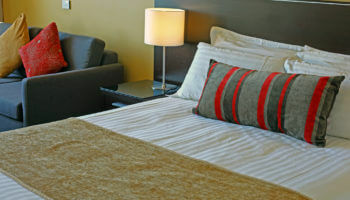 Undeniably, they represent the ultimate indulgence in city apartment living. 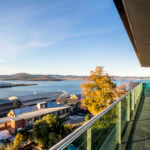 Situated on Salamanca Place and overlooking Hobart’s picturesque waterfront and the many lifestyle attractions of a bustling city, including markets, craft shops, cafes, restaurants, art galleries and the historic precinct of Battery Point, Lenna Penthouses are ideally located to experience the cultural essence, heritage, and vibrancy of Hobart. 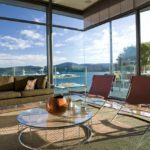 The alluring 360-degree panoramic city views of Hobart’s harbour and mountains from the rooftop apartments are simply stunning. 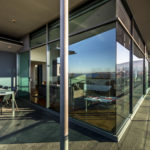 Sliding doors open from every bedroom and all living areas to the private balcony which sweeps around your apartment. 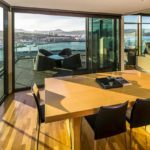 Breathtaking outlooks across Hobart’s waterfront, Princes Park, historic Salamanca Place and the majestic Mount Wellington showcase Hobart like few other sites can. 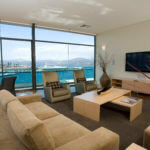 Our 2 luxury penthouses are slightly different in layout however, both are equally spectacular. 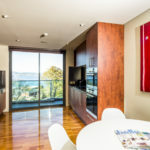 The pictures provided are a combination of both apartments.